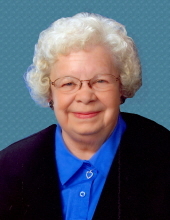 Mary Lee Wisecup, age 81 of Boone, died February 6, 2019 at the University Hospitals in Iowa City. Following her wishes, Mary has been cremated. A private family Graveside Service at the Mineral Ridge Cemetery in Ridgeport will be held at a later date. Friends may call at the Schroeder-Reimers Memorial Chapel at Sixth and Marshall, on Friday, February 15, 2019, from 6 until 8 p.m. at which time the family will be present. Mary Lee (Herron) Wisecup, was born in Boone, Iowa on January 2, 1938, the daughter of Richard ‘Chick’ and Mary ‘Peg’ (Houser) Herron. She graduated from Boone High School in 1956. On May 26, 1957, Mary married Roger Wisecup in Boone. Mary was a homemaker, but in earlier years, she worked at the Bell Telephone office in Boone. She loved spending time with her family and enjoyed reading, especially mysteries and suspense, flower and vegetable gardening and canning her produce, and playing cards. Mary and Roger enjoyed traveling and she attended Roger’s naval ship reunions. She was preceded in death by her parents; husband; two sisters, Sheila Bennett and Sharon Shaw. Mary is survived by a daughter, Teri Wisecup of Boone; two sons, Roger (Shelly) Wisecup of Ankeny and their children, Erin and Mason; Jay (Sandy) Wisecup of Sergeant Bluff and their children, Emily (companion, Brian Popkes), Thomas, and Abby; a great grandchild, Kinsley Popkes; brother-in-law, Don Shaw of Boone; sisters-in-law, Sharon and Karen Wisecup both of Boone, Jean (Dave) Patten of North Liberty, EmmaBelle Johnson of Jewell, and JoAnn (Darwin) Ray of Boone; nieces and nephews. In memory of Mary, memorials may be directed to the family. To send flowers or a remembrance gift to the family of Mary Lee Wisecup, please visit our Tribute Store. "Email Address" would like to share the life celebration of Mary Lee Wisecup. Click on the "link" to go to share a favorite memory or leave a condolence message for the family.